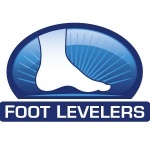 April 26, 2011 — Foot Levelers has co-sponsored with New York Chiropractic College (NYCC) to provide educational webinars that offer Continuing Education Units (CEUs). Doctors can learn new practices from anywhere that has access to a computer. The On the Level Webinar series offers valuable information and is led by a highly respected staff of chiropractors. Webinars will take place in a concise one-hour format every Tuesday starting at 1:30 p.m. (ET). Live webinars provide a question-and-answer opportunity at the end of each presentation, and are free to all doctors. An annual fee of $75 will apply for doctors obtaining CEUs. Attaining CEUs is essential for expanding knowledge in the chiropractic field and is also a major benefit of the On the Level webinars. Each webinar is equal to one CEU credit, and available in many states. Doctors that wish to receive CEU credits will need to view what states are approving these CEUs through NYCC link found on otlwebinars.com. For more information or to register, go to www.otlwebinars.com. To view archived webinars visit www.fliresources.com.